We're already a bit into 2017, and there's plenty on the horizon to look forward to. We have over 11 full months of cinema to look forward to, and it's clearly all uphill from here. So, let's see what films i'm anticipating the most for 2017. As usual, I should point out that this list is not an attempt to predict which films will be the best of next year, just an opinion piece of which ones I am anticipating the most. Also, take note how I occasionally grasp at straws for the "Hint of Doubt" section. April sees the UK release of Park Chan-Wook's The Handmaiden, which I managed to catch a screening of in November, but am excited to see yet again. The Fate of the Furious, which appears to be carrying on the franchise tradition of bringing forth knowingly ridiculous fun (with added Charlize Theron and Helen Mirren). Beauty and the Beast, an impressive looking take on the Disney classic. Mute, a long gestating sci-fi noir from Duncan Jones. Logan, the final send-off for Hugh Jackman as Wolverine, looking sombre & refreshingly different. Untitled Paul Thomas Anderson Fashion Project, a film by Paul Thomas Anderson starring Daniel Day Lewis? Need I say (or know) more? Premise: The true story of the 1973 tennis match between world number one Billie Jean King, and ex-champ Bobby Riggs. Why? : After the wonderful films which were Little Miss Sunshine and Ruby Sparks, the fact that Jonathan Dayton and Valerie Faris are releasing another film is cause enough to put it on this list. It;s helped that the terrific talents that are Emma Stone and Steve Carell are starring. 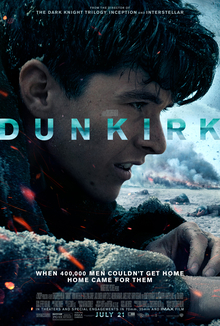 Premise: Allied soldiers from Britain, Belgium, Canada, and France are surrounded by the German Army on the beaches of Dunkirk, and evacuated in Operation Dynamo, during the early stages of World War II. Why? : Looking at the filmography of Christopher Nolan, one can't accuse him of keeping things safe. Bouncing from superhero trilogy to space epic, with a short documentary thrown in the mix, next on the agenda is film about the Dunkirk evacuation. The trailers do a wonderful job of setting the mood, leaving it to look like a great addition to his list of works. Hint of Doubt: Can Nolan pass out enough characterisation between the cast members this time? Premise: Detective Harry Hole investigates the disappearance of a women, whose pink scarf is found wrapped around an ominous-looking snowman. Why? : Michael Fassbender starring in a mystery, from the screenwriter of Drive, directed by Tomas Alfredson (Let The Right One In). Sounds like one hell of a combination. Hint of Doubt: Will we have to deal with American actors trying to deliver lines in a Norwegian accent? Premise: In the early 20th century, the Amazon princess Diana (living on the island of Themyscira) meets American military pilot Steve Trevor when he's washed ashore. After learning from him about the ongoing events of World War I, she leaves her home to bring an early end to the war. Why? : Finally! After seeing obscure comic book characters get their big screen adaptations, we finally get to see Princess Diana of Themyscira get her own starring picture. After impressing through her short appearance in Batman v. Superman: Dawn of Justice, the idea of Gal Gadot headlining this film and this beloved character is one to be excited about, especially with a terrific director like Patty Jenkins on board. Hint of Doubt: Having not been a fan the DCEU's output, a part of me is cautious about how this film will turn out. Premise: Following an initiation ritual, a vegetarian college student becomes a cannibal. Why? : A film which uses cannibalism as a metaphor for personal exploration, with its premiere resulting in medical services for audience members who fainted? Count me in. Hint of Doubt: Can it live up to the potential? Premise: A 12 year old boy named Miguel sets off a chain of events relating to a century-old mystery, leading to an extraordinary family reunion. Why? : The latest from Pixar, helmed by the director of Toy Story 3 and Monsters, Inc, looks to take inspiration from Mexico's Day of the Dead folklore. The idea of translating that to a wider audience is a nice idea, which seems to have been made with a real appreciation for the culture, with hopefully more of the wonderfully style that Pixar wonderfully delivers. Hint of Doubt: Will this be more Inside Out, or Cars? Premise: A young 11 year old discovers clues about another dimesion called Mid-World, leading him to be spirited away to the land. There, he encounters lone frontiersman knight Roland Deschain (Idris Elba), on a quest to reach The Dark Tower and save Mid-World from extinction. But with various monsters and a vicious sorcerer (Matthew McConaughey) on their trail, the duo find the quest may be difficult to complete. Why? : I haven't read the original Stephen King novels, but the Idris Elba vs Matthew McConaughey in a fantasy western horror is too tempting a combination to pass up. Especially when the script was rewritten by Anders Thomas Jensen, writer/director of last year's underrated Men & Chicken. Hint of Doubt: The development history is a long one, with J.J. Abrams and Ron Howard previously giving an adaptation a shot, Hopefully, the final product won't leave one longing for what could have been. 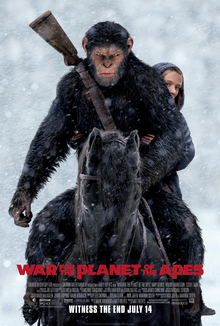 Premise: Caesar and the apes are embroiled in a war against an army of humans. As the apes suffer heavy losses, Caesar wrestles with his darker instincts, as he resolves to avenge his kind. The war pits him against the humans' leader, a ruthless Colonel, in an encounter that will determine the fate of their species, and Earth's future. Why? : Against all odds, this rebooted franchises of damn dirty apes has become quite the hit. Now onto its third film, with Matt Reeves staying on as director, and war has come about. Leading the humans is Woody Harrelson, which looks to be a terrific casting decision for a great looking film. Hint of Doubt: Can they do the human characters well this time around? Premise: A police raid in Detroit, 1967, results in one of the largest citizen uprisings in United States history. Why? : Kathryn Bigelow has proven herself a terrific director multiple times over, managing to carve a niche for herself with socially relevant stories. Her latest focuses on a significant event from Detriot 1967, carrying a terrific cast composed of John Boyega, Anthony Mackie, Hannah Murray, Jack Reynor, Jason Mitchell and Will Poulter. Hint of Doubt: Such a large cast has assembled for this, will they all get enough screentime? Premise: Thor, imprisoned on another world without his hammer, must outlive a gladiatorial duel against his old friend - The Hulk - in order to return to Asgard, and stop the villainous Hela and the impending Ragnarok. Why? : Two films in, and Thor's franchise is to Marvel Studios what the Cars franchise is to Pixar. Both franchises appear to be getting a revitalisation for their third entry, and Thor's shows the most potential, thanks to the inspired hiring of Taika Waititi, director of Hunt for the Wilderpeople and What We Do In The Shadows. Plus, the cast composing of Cate Blanchett as an antagonist, alongside Jeff Goldblum, Tessa Thompson and Karl Urban? Not to mention a bit of Planet Hulk thrown in there? What a treat. Hint of Doubt: Between Ragnarok, Planet Hulk, the Odin stuff and any set-ups for future films, will this film devote enough time to each of its plot threads? Premise: An ambitious young executive (Dane DeHaan) is sent to retrieve his company's CEO, from a mysterious "wellness center" at a remote location in the Swiss Alps. He soon suspects the spa's miraculous treatments are not what they seem. His sanity is tested, as he finds himself diagnosed with the same illness that keeps all the guests there. Why? : Confession time: I hadn't seen The Ring until last year, but it's easily my fave of Gore Verbinski's works. That film, mixed with a trailer teeming with intrigue, fills me with quite a bit of hope for Verbinski's next horror flick. Hint of Doubt: Having not seen the picture, there may be justification for it, but a runtime of 146 minutes seems a tad much. Premise: With the help of his mentor Tony Stark, Peter Parker tries balancing life as an ordinary high school student in Queens, with fighting crime as Spider-Man. Why? : After delivering a standout performance in Captain America: Civil War, Tom Holland gets his own feature film to portray one of the most popular superheroes of all time. Seeing him going up against Batman himself, Michael Keaton, is worth buying the ticket already. But a cast also involving Donald Glover, Angourie Rice, Tony Revolori, Bokeem Woodbine, and some Robert Downey Jr? Why must we wait so long? Hint of Doubt: Now that Marvel Studios are sharing the rights to one of their most popular characters, here's hoping they don't try and rush some world-building attempts here. Premise: After being coerce into working for a crime boss, a young getaway driver (Ansel Elgort) finds himself taking part in a heist doomed to fail. Why? : It's been four years since Edgar Wright's last film, and that's far too long. His whip-smart scriptwork & stunning direction have been missed, so they'll be welcome returns when witnessing Ansel Elgort as a music-obsessed getaway driver, with the remainder of the cast consisting of Jamie Foxx, Kevin Spacey, Jon Bernthal, Meryl Streep, and Red Hot Chilli Peppers' own Flea. Hint of Doubt: Anyone else find it jarring that Sky Ferreira is portraying Baby's mom, when she's only 2 years older than Ansel Elgort? Premise: A lonely, neurotic and hilariously honest middle-aged man (Woody Harrelson) reunites with his estranged wife (Laura Dern) and meets his teenage daughter for the first time. Why? : On the basis of the trailer, this looks to be a darkly comedic ride, as well as something refreshingly different. It also appears to be a great showcase for both Woody Harrelson and Laura Dern, two superbly talented actors. Hint of Doubt: Can Harrelson deliver as the title character, without becoming too unlikeable? Premise: Chris (Daniel Kaluuya) visits the family of his white girlfriend, who live on an estate where many of the black residents have gone missing. Why? : Jordan Peele breaks away from Keegan-Michael Key to deliver his directorial debut, which looks to bring the racial commentary of his sketch show, in a chilling and creepy manner. Plus, it appears to be a great showcase for the talented Daniel Kaluuya. Hint of Doubt: Will Jordan Peele's writing translate well onto a feature film? Premise: Batman goes on a personal journey to find himself, learning the importance of teamwork and friendship in hopes to save Gotham city from a hostile takeover by The Joker. Why? : Of course Warner Bros decided to follow up their critical and financial success story of The LEGO Movie, with a spin-off centred around Batman. But what's being delivered looks to be a love letter to all things Batman, from the obscure characters included, to Billy Dee Williams voicing Two-Face. 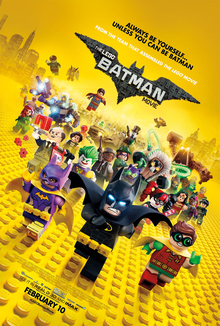 As a fan since childhood, (5 year old me went as far as wearing a Batman costume under their school uniform), this looks to be the type of film to be enjoyed by Bat-fans of all ages. Premise: The Guardians of the Galaxy travel throughout the cosmos, trying to keep their newfound family together, while helping Peter Quill find out more about his true parentage. Why? : In 2014, James Gunn delivered one of the years highlights with his exceptional space set picture. It contained fantastic humour, wonderful characters in an imaginative world, all while set to a brilliant soundtrack, and the sequel looks to deliver more of the same, with added Kurt Russell and Sylvester Stallone. Hint of Doubt: There's been many cases of a film capturing lightning in a bottle, and a sequel failing to do the same. Hopefully, this film won't do just that. Premise: Mark Renton returns to Scotland 20 years after the first film, to make amends with his friends, while avoiding the psychopathic Franco Begbie, recently released from prison. Why? : Danny Boyle reunites the original cast and screenwriter for a follow up to the 1996 masterpiece? Bring it on. Premise: Rey continues her epic journey with Finn, Poe, and Luke Skywalker, in the next chapter of this saga. Why? : After a long time away, the Star Wars franchise returned triumphantly, delivering two absolutely magnificent pictures worthy of being a part of the franchise. Being the next film is enough to put it on the list, but there's more. This middle instalment of the trilogy comes written and directed by Rian Johnson, who's responsible for 2012's exceptional Looper, as well as directing some of the best episodes of TV's Breaking Bad. Anyone else hoping for a Bryan Cranston/Aaron Paul cameo? Hint of Doubt: Will Gwendoline Christie's Captain Phasma get something to actually do this time? Premise: 30 years after the events of the first film, LAPD Officer K (Ryan Gosling) unearths a long-buried secret that could potentially plunge the remains of society into chaos. This discovery leads him on a quest to find Rick Deckard (Harrison Ford). Why? : After Arrival, anything Denis Villeneuve directs will earn a place on this list. But the idea of him helming a long delayed sequel to sci-fi classic Blade Runner, teaming up with original screenwriter of the 1982 classic, with cinematography by Roger Deakins, and a cast composed of Harrison Ford, Ryan Gosling, Robin Wright, Dave Bautista and Barkhad Abdi, among others? This is too perfect a combination to pass up. Hint of Doubt: A long-delayed sequel to what's considered a sci-fi classic? Expectations could prove too high for this picture.